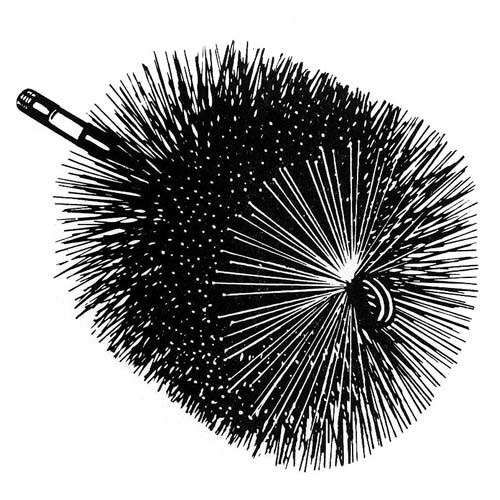 Maintain a clean, safe, efficient chimney using this chimney brush from AW Perkins. Creosote, ash, and other byproducts of heating appliances can easily build up in masonry chimneys, hindering proper air flow and creating a flammable threat as a result. Such buildup can be eliminated with this strong, durable AW perkins chimney brush. Assembled using sturdy 1/4 inch point threads, this AW Perkins 8 inch chimney brush can be strong and long enough to clear out such potentially dangerous problems. It is available from 6 to 10 inches.